Beginner – The tuition will focus on learning the fundamental aspects of the game starting with set-up and then moving onto short-game, long game and putting actions. The rules of golf and etiquette can also be covered along with assistance on choosing equipment. We are able to introduce you to the golf course, whilst ensuring that you continue to have fun during every step of the learning process. 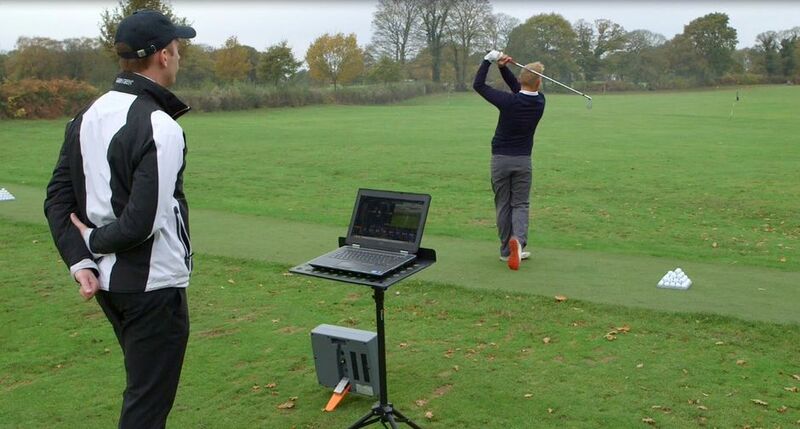 Club Player – This tuition will help you to refine your technique through increased knowledge and understanding of how your golf swing works. Assisted improvement and progression is attained through the latest high speed GASP analysis systems and increased development through the introduction of additional holistic coaching areas, such as the physical and mental elements of the game. Elite Player – This tuition will cover on every aspect of the game that can affect performance; including technique, equipment, physique, strength and conditioning and psychological training, using advanced and innovative equipment. Ultimately this coaching will provide you with the feel of a tour player entourage to develop your game to optimum potential; all in one place! Matthew realises that learning to play golf can be extremely challenging. Matthew and his team will significantly improve your standard of play and will promote a competitive spirit and self-confidence that will last a lifetime. Group golf tuition programmes are run with exceptional service and can accommodate a variety of abilities, in an exciting, fun learning environment. Each group of golfers will spend time working on basic fundamentals and swing positions that will dramatically improve your technique and add to your enjoyment of the game. Matthew and his team are committed to making sure more ladies take up the wonderful game of golf and the perfect way to start, improve or develop is through group ladies clinics. Throughout the classes different aspects of the game will be covered from long game, short game, bunkers, putting, course management and the rules of golf. Group Ladies Classes are running throughout the year please call the Professional Shop direct on 01565 873620 for more details. "Matthew is an outstanding coach who is committed to the success of each of his students. He provides focused, undivided attention when he's working with you. You feel like you are the only person in the world. Matthew gets results every time. It's a joy to learn the game with him"
"Thankyou so much Matthew for introducing me to the wonderful game of golf. It has been a great experience learning the game and thank you for your time, patience and help throughout my lessons"
"I was taught by Matthew during his time at Gleneagles. My golf swing is, at best, unorthodox, I wanted to improve but did not want to have my swing ripped apart and spoil my enjoyment even for a short period. Matthew worked with what I had and there is no doubt that I achieved my objectives. He explained the changes he thought would benefit me in a clear concise and articulate way and gave me instructions I could apply to practice that would impact on my general play. Matthew contributed to my handicap coming down and me getting even more pleasure from the game"
" Matthew has helped me with coaching on my swing, which certainly has its challenges! I certainly learnt from Matthew and he improved my consistency, understanding and confidence"
"I'm not the easiest to teach but I have to say I walked away today with a clear image of what's needed to hit that fade with confidence. I actually think my best best golf is now not behind me but most definitely ahead. Thank you very much again"